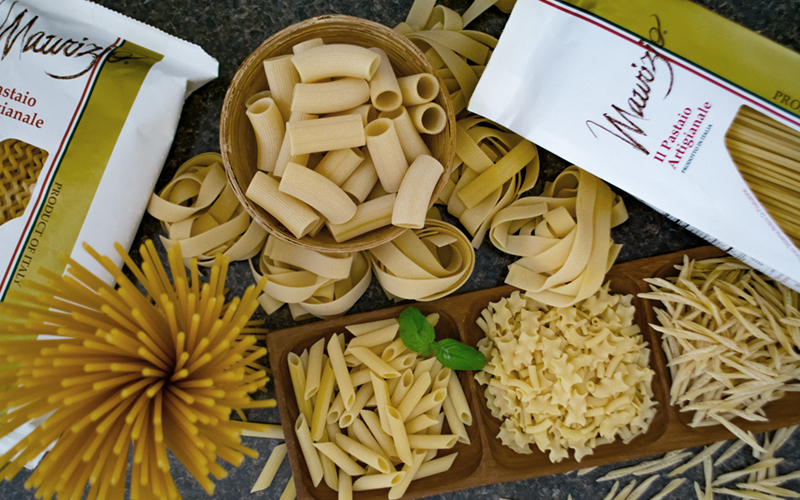 Maurizio Artisan Pasta is produced from the finest durum wheat semolina in the Campania region of southern Italy. Maurizio Artisan Pasta is carefully pressed through traditional bronze dies, resulting in a uniquely porous texture that allows for maximum sauce absorption. 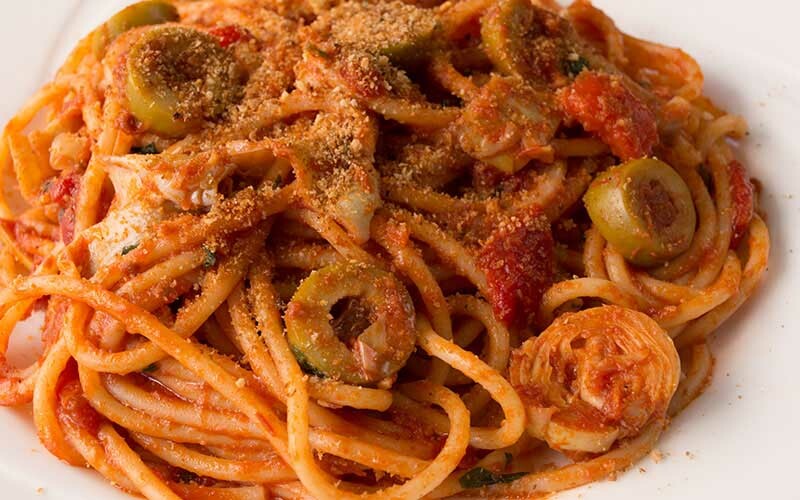 This time-honored process makes Maurizio Artisan Pasta unlike any other. Maurizio Artisan Pasta follows traditional, old-world Italian methods of production, including using the highest quality ingredients available, traditional bronze dies and a longer drying time. The combination of a higher protein wheat, bronze dies to produce a rougher outer surface and a slower drying time results in a fuller flavor and more porous pasta to absorb your favorite sauces and create an elegant, cohesive dish. 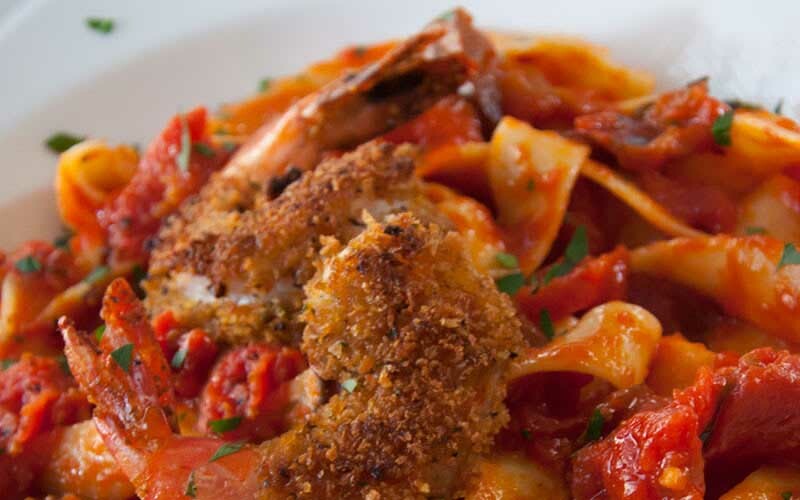 Maurizio Artisan Pasta follows traditional production methods to ensure a premium quality artisan pasta. 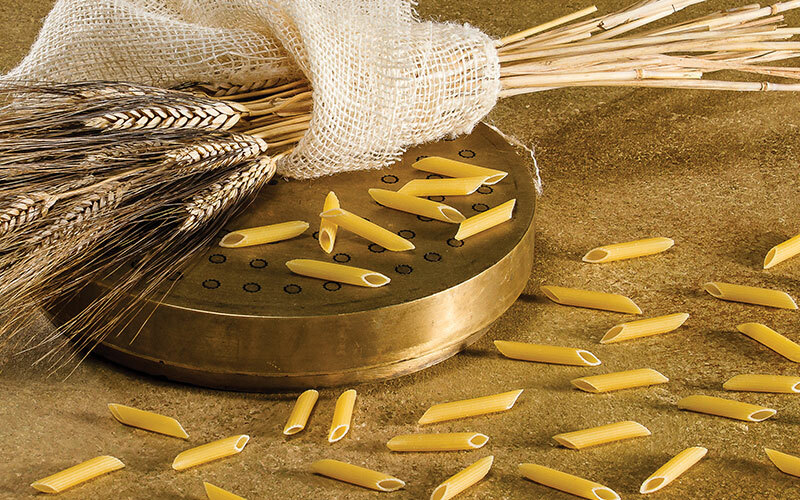 These methods include using the finest durum wheat semolina, traditional bronze dies and a slow drying process. The dough is steadily kneaded to provide a smooth, elastic quality, and then pressed through traditional bronze dies which results in a uniquely rough, porous texture that aids in maximum sauce absorption. In using bronze dies instead of industrial Teflon dies, a rougher, more permeable surface is produced, whereas Teflon dies result in a smooth surfaced pasta that the sauce slides right off. The newly shaped pasta is then slowly dried at low temperatures, resulting in the formation of the characteristic outer surface texture. The artisan-style long drying time allows for slower fermentation, which results in a fuller flavored pasta. Maurizio Artisan Pasta is then immediately packaged to preserve the treasured qualities that make this pasta a unique, flavorful addition to your favorite dishes.